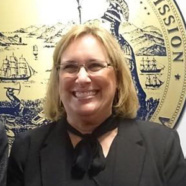 Alice Stebbins was appointed as the Executive Director of the California Public Utilities Commission (CPUC) effective February 21, 2018, replacing Timothy Sullivan, who retired after serving since December 2014. Stebbins will oversee the direct operations of the CPUC and expedite all matters within the its jurisdiction. Since 2011, she served as Division Chief over Administration for the California Air Resources Board. Ms. Stebbins started her career at the state in 1986 as a sales and use tax auditor with the Board of Equalization. Subsequently, she worked for the Department of Transportation, Department of Justice, and the State Water Resources Control Board, where she concentrated on forensic accounting, auditing, project management, and administration.